This unique card case is handcrafted from the finest leather. Features turned-edge construction, moiré lining, top loading center pocket. Two additional pockets on each side. 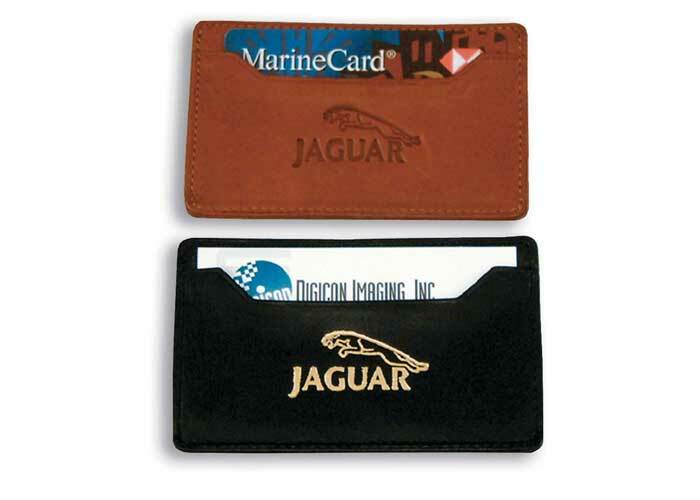 Ideal for business cards/credit cards. Product Weight: 1-1 / 2 oz.